The colorful neighborhood of Bushwick, Brooklyn features prominently in this week’s visually engaging and exceptionally groovy clip for “Little Bird” from the Brooklyn-based duo called Sharkmuffin. In this offbeat yet hip clip, “Little Bird” juxtaposes the story of an individual trying to be a Big Shot in the hood with what it might be like if the biggest bird in the world — Big Bird — was some kind of rock star and had hordes of fans following him around, and needed a bodyguard and everything. The video also includes spontaneous, synchronized street dancing in the style of Michael Jackson’s “Thriller” (minus the un-dead). Hilarious and fun! 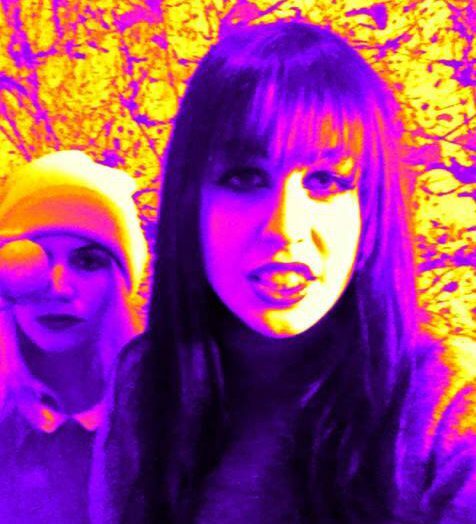 Sharkmuffin is comprised of Tarra Thiessen and Natalie Kirch, whose influences span the musical spectrum from Nirvana to The Ronettes, so comparisons to Live Though This-era Hole are not out of line. I would call them Garage Pop Psychedelia, but I imagine their sound is capable of expanding far beyond that somewhat concise description. Behold: The Lovely Ladies of Sharkmuffin (Image Courtesy of FaceBook). ← Delicious New Products from Bumble Bee Tuna!